Formally acclaimed as the Federative Republic of Brazil, it is the largest country not only in South America but among Latin American countries. It can also be considered as one of the most famous country in South America. This country is the largest producer of coffee and one of the major breadbaskets in the world. From its colonial and historic structures to its breath-taking natural beauty, Brazil is undeniably one of the most captivating countries not only in South America but the world. Sao Paulo, which is the most populous city in the Southern Hemisphere and the wealthiest state in Brazil, is also the capital city of the country. This destination is full of life, world class cuisine and multi-ethnical community that crowded the city. Independent, vibrant and liberated city is what makes up Sao Paulo, as they have the largest open gay community in the whole Latin America. Brasilia took over the previous capital of Brazil, Rio de Janeiro, and showcases futuristic structures and architecture at its finest. Brasilia aims to provide a unique travel experience to its visitors, as it also offer vibrant nightlife and world-renowned multinational cuisines. The fifth largest city in Brazil, Fortaleza is also one of the major cities in the Northeastern region of the country. This destination once hosted the FIFA Confederations Cup in 2013 and FIFA World Cup in 2014, as Brazil’s passion and love for the sport is inevitable. Fortaleza is also known for stunning beaches and inviting party ambiance which attracts many tourists. Situated at the heart of the Amazon Rainforest, Manaus is anciently known as the Heart of the Amazon or City of the Forest. This destination showcases the well-preserved flora and fauna and the rich natural culture of Brazil. Manaus displays several varieties of animals, plants and other natural wonders, plus there are jungle tours that tourists can take advantage of. One of the oldest colonial cities not only in Brazil but among the American territories and region, Salvador is home to rich Portuguese architecture and history. This destination is surrounded by structures and monuments with noticeable huge Portuguese influence in every building. Salvador is known for its sumptuous cuisine, stunning beaches and awe-inspiring structures. Bordering Argentina and Brazil, Foz do Iguacu is a city which Iguazu Falls is situated. This destination is considered as the second most visited by foreign tourists next to Rio de Janeiro. Foz do Iguacu is surrounded by various natural wonders apart from the infamous Iguazu Falls, as there’s Parque de Aves and Itaipu Dam where tourists will enjoy the wonders of nature. Rio de Janeiro, which is Brazil’s third most populous state and the sixth largest city across the Americas, is where the luscious stunning beaches are located. One of the known beaches in this destination is Copacabana that once reigned supreme in 1940s as the most visited beach. Rio de Janeiro is renowned for its festivities, astonishingly beautiful landscape and relaxing beach resorts. Also called as the Amazon Jungle or simple Amazonia, Amazon Rainforest is widely spread out across South America. 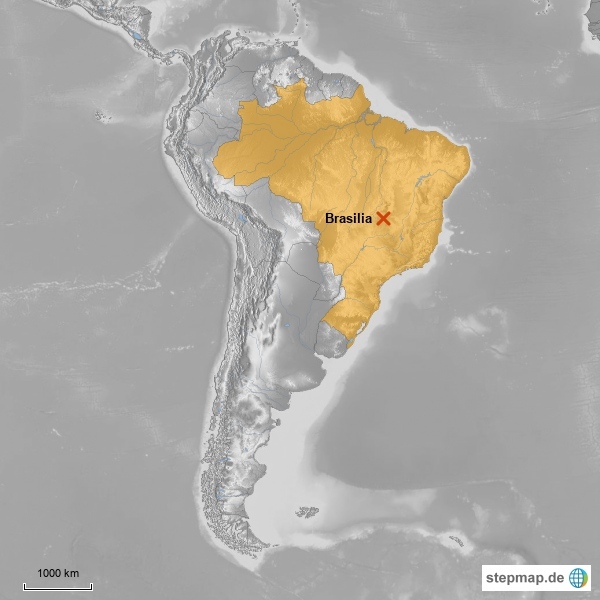 This destination is being preserved by its surrounding regions but most of the rainforest is being governed by Brazil. Amazon Rainforest is the largest rainforest in the world and it is made up of diverse ecosystem with savannas, seasonal forests, flooded forests and deciduous forests. A UNESCO Natural World Heritage Site, Fernando de Noronha is an archipelago that invites a lot of tourists from all over the world. This destination is filled with alluring beaches, fascinating landscapes and not to mention its well-preserved wildlife. Fernando de Noronha offers several fun-filled activities and it would require dedicated days to be able to enjoy and explore the islands and islets. A wealthy city divided into industrial and modern zones, Florianopolis is commonly called as Floripa, the third placer with the high quality of life. This destination can be considered as one of the most expensive cities to live in Brazil. Florianopolis may be surrounded by industrial structures, but the other side of it shows a chic and cozy city that showcases the city’s rich history as well as Brazil’s multi-ethnical influences.